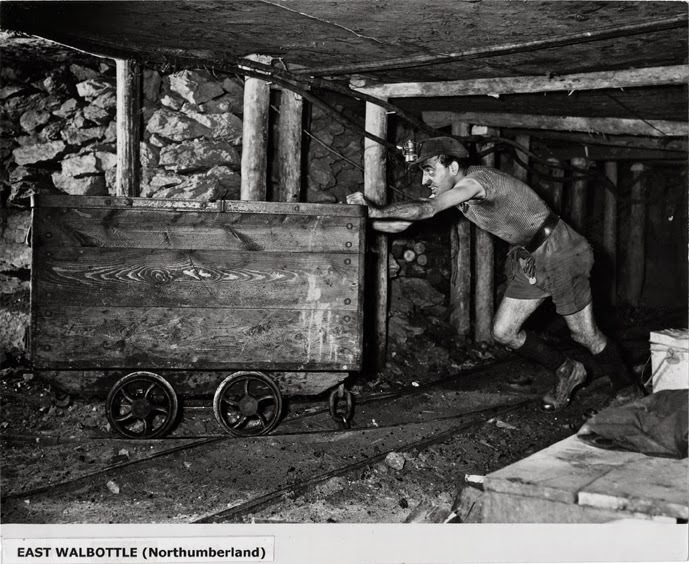 Last week for the project 'Stitching the Wars' I met a Ethel and Les, who brought to light time during the 2nd World War working outside in the Timber Core (known affectionally as Lumberjills) contrasted to life spent underground in the dark- a Bevin Boy. Cresswell, Derbyshire. Thanks to Warwick Taylor OBE, Bevin Boy Veterans. The remarkable group of people recalling the war also spoke about: facing daily danger as young women working in the Munitions, whose faces went yellow from the chemicals. Life as a school girl working in the laboratories of a Steel Works in Barrow in Furness and a memories of the torn face of an German pilot, crashed in a farmers field. Today for the project 'stitching the wars' I'm going to share parts of my notes describing Les's time in the Bevin's Boys. "At 18 I served in the war as a Bevin Boy. 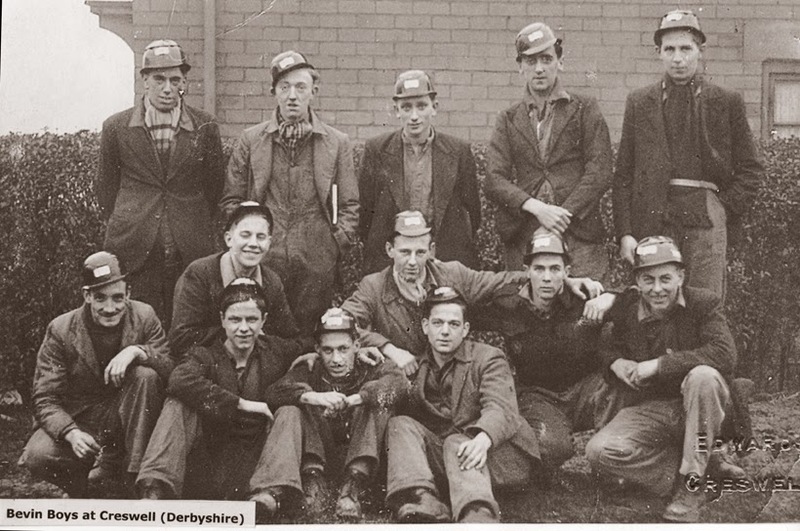 Ernest Bevin in his wisdom or folly called up all the miners, so we had to replace them - if you were allocated a certain number you’d have to go. I’d worked on the land all my life, so to go down 580 feet was quite an experience. Cresswell in Derbyshire to start, then Nottingham. We turned black. It was dark in the morning when we went down and dark when we came up. If we were working weekends as well, we wouldn’t see sunlight for 3 weeks. 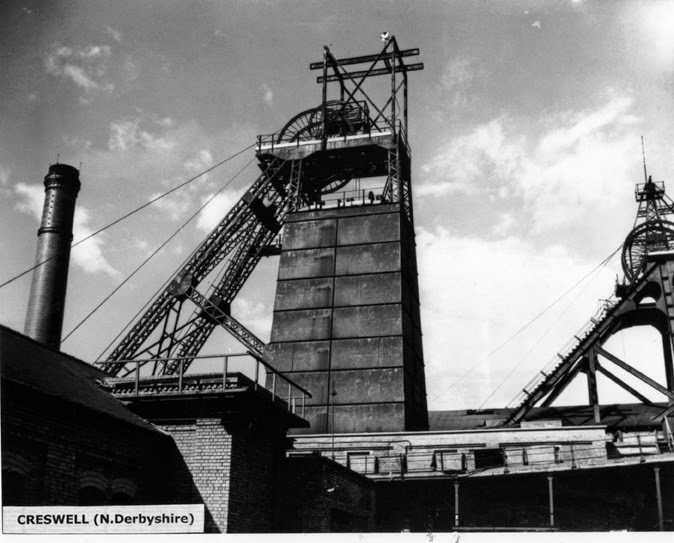 The first time I went down the mine it was 3 days before my 18th birthday. Those lifts dropped like a stone, up there one minute, the next moment on the floor of the colliery. I was in billets to start, then eventually in a private house. The bus would pick us up about 7, we’d finish about 5. We’d have a meal in the canteen about 5 or 6pm. I was in the haulage; you had to work till the trucks were disposed of. The work was very monotonous and you were always in the dark. I had a cap lamp, as I had to use both my hands- bringing empty trucks in or filled ones out. Photo credit and thanks to Warwick Taylor OBE, Bevin Boy Veterans. We only had a months training, that was in Cresswell. Had accidents like, but thankfully I was never involved. One of the lads in my room left as he had hurt his legs. They had steel girders holding the roof up, wonder how they kept going. I wasn’t bent over, I didn’t have to dig the coal- had a steel wire to clamp onto the steel truck on wheels. It would be very cold when we went to one place, then hot in another. I was only in billets for a short while, then in private digs paid for by the government. I didn’t have a bad life during the war. We were fated a bit, the girls liked a fresh face so we were spoilt- we had the village to ourselves! Bevin Boys at Cresswell, thanks to Warwick Taylor OBE, Bevin Boy Veterans. I did a milk round before the war with a horse and cart. After the war went back to the milk. The job was there, you had to go back to where you came from." Creating the right atmosphere where groups of people can relax, express themselves freely and work creatively involves a certain amount of luck as well as judgement. Yesterday a session for the project Stitching the Wars was an example of such serendipity. The Alzheimer's Society run a popular monthly group called Buxton Memory Cafe, for people with dementia, their carer, family and friends. Sat in the elegant surroundings of a spa towns hotel, we gathered together in little groups. The Alzheimer's Society staff have created a relaxed and warm atmosphere where people can share their concerns, share advice, make friends and pass the time of day, or in the case yesterday reminisce and stitch. Two of the group sat next to each other for the first time, without prompting soon found they were deep in conversation- I dipped in and out of this remarkable encounter and tried to get a flavour of their conversation in my notes- Eva and Francis shared stories of humanity in war torn Berlin from a German and English perspective. Each child had a rucksack to pack every night, with a change of clothes and something to eat. When the alarm went of, would run down to the cellar, you’d be sat waiting for things to happen. My father was a top judge, so had to stay and work in Berlin. A rucksack packed every night and left by the front door. We had been breed to believe the German’s were rotten. The German’s weren’t rotten, except those up to their neck in it, the Nazi’s. I was born in Berlin. Had to leave in '43, my mother and 6 kids, the youngest 3 months old, we went to a very small holding, in Bayrisher, right on the boarder of Austria. With the Russians on one side and the American’s on the other. When the American’s came my mother did the translations, she could speak German, French and English, sometimes she did the cooking to if they shot something in the woods. I could write a book about my experiences. If you tell the family about your life, they find it hard to visualise it, they cant believe it. A land of contrast, buildings knocked down- I was there right at the end of the war, the Russians waiting to see if they could take Berlin. It enriches your life to see people suffering and how they get over it. You live with it. The nights are worse than the days. It made us better people, understanding others. We were children at the time, we didn’t know what it was all about and father didn’t talk about it. I wasn’t in the Hitler Youth, my father got a big fine because of it. 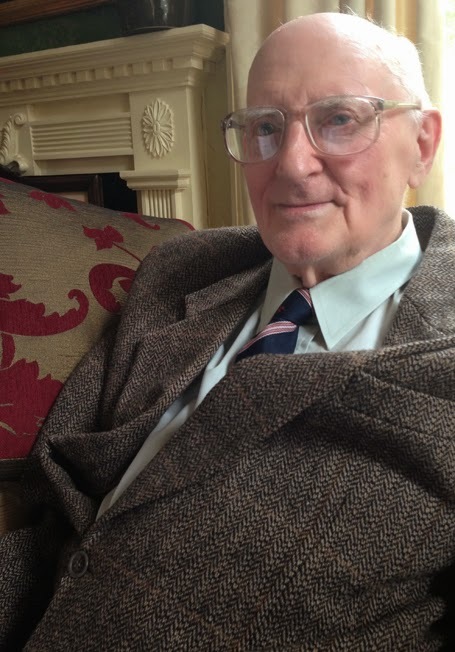 He had fought in the 1st World War, so knew what was coming. I only saw my father once, that was when the wall came down in 1989, he had turned up in East Berlin, my mother had thought he was dead, they had both remarried. I was stationed in Spandau at the end of the war, a guard in the prison. I worked in an orphanage not far from there, that’s where I met my husband an English man. I was lucky enough to get into the courts when there were the trials of the Nazi War Criminals. The Farming Life Centre run various groups, I had my first get-together with the Rural Social Group last week gathering reminiscence and embroidery for the project Stitching the Wars. I a tried to get a flavour of the rich conversation in my notes, this time centred around pigs and the black market, some of which I share now. On higher ground they’d only grow oats, lower down wheat, lower down still they’d grow barley. They’d take oats to the mill, roll them for horses and cattle or ground up fine for the pigs. The ministry let you kill 2 pigs a year, you could use everything but the squeal! You couldn’t keep the pork though, it would go off. (no fridges then) The man who killed it would take a lump, the neighbours would take a lump- and then when they killed one would do the same for you. You’d salt the meat, the bacon. 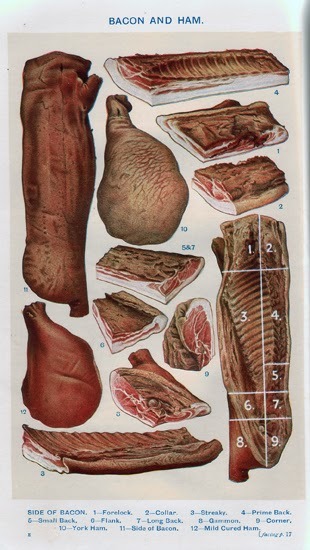 Savoury Duck (made of pigs liver, fry and belly), brawn, (made of pig head and trotters) scratchings, rendered fat or lard- used for baking, ham was hung up (the sides of the pig from ham to hip) the shoulder made into bacon- used a big salting stone. You’d kill one day, hang it up for a day, then you could deal with it. The bristles you scolded off with hot water, singe anything left, there’d be coopers in the corner, going for the hot water, the farmers wife would be stoking the fire at 4 in the morning, polishing the children’s shoes whilst waiting for it to boil. 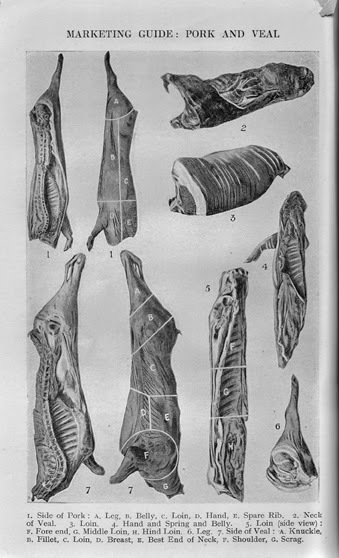 You’d kill them at different weights, pork from the middle, (but it went off fast) between the bacon and the ribs. Real pork that. Some put oat meal in a sack, those were big pigs, 20, 22 score, now they’re 8 or 10 score. Large Whites, or Middle Whites, had to be careful not to over salt it. Dry and sweet it was. I’d bob a pickle in with the brine, or black treacle in it, made it sweet. Anyone who had a lot of milk had contracts with shops in Manchester. If it was Oldham Wakes, the shop would say ‘we don’t need the milk this week’ so the farmers wife would have to get busy making butter. We retailed milk, in the country the door would be unlocked, we would take the milk in, and on the table would be a brown paper bag with scraps in for the pigs. They would expect a it of bacon at some point in return. Anyone with any gumption wouldn’t starve. 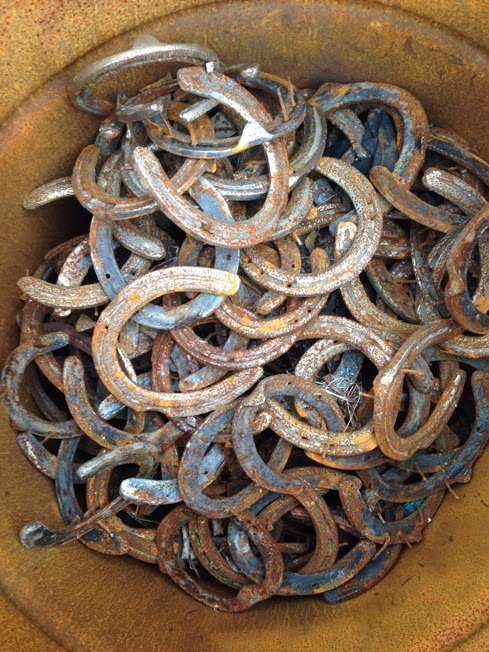 Poachers would get their greyhounds around on a Sunday, miners from Chesterfield, poaching hares and rabbits. The miners would be a curse with their whippets, seeing whose dog could run the fastest, whippets chasing the hares, they’d have a job chasing those hares, running this way and that. The village bobbies used to be very good. Would do shifts of 4 hours on, 4 hours off, day and night. Anyone who drank to much would be put up in the village hall till they sobered up. It’s a dangerous thing on a farm, but you’re there when your families there, it’s a good environment for children. The Farming Life Centre run various groups, last week I had my first get-together with 'the Rural Social Group' gathering reminiscence and embroidery for the project Stitching the Wars. I a tried to get a flavour of the rich conversation in my notes, part of which I share now. 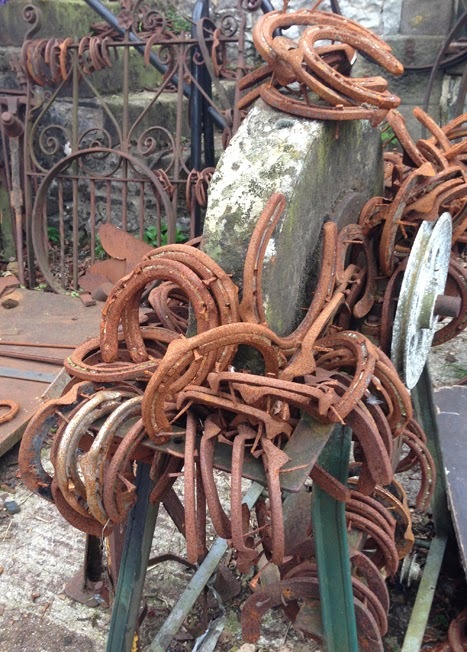 We come from farming families, my father was a blacksmith, had a farm, but lost it, a bit wayward. His brother was the boss, my father did all of the heavy work with the horses, he wore a truss, I never saw that- when you’re little- the youngest of the family, you never ask questions. As a young man he worked for his keep on the farm. Fought in the 1st World War, they weren’t subscripted, they just went. He was in the Catering Core, didn’t go abroad, those contemporaries who were picked at the same time, none of the came back. (During the War) They could be turned off a farm if they didn’t grow so much corn. The Ministry would come round and check. They’d also provide tractors.. You would have to put your name down for tractors. There was one farm in Buxton where they delivered a tractor to the wrong farm, same name, wrong farm! They wouldn’t give it back! You didn’t keep a lot of livestock, you didn’t need money for electricity as you didn’t have it, you didn’t need money for central heating as you didn’t have it, you didn’t need money for carpets, as you didn’t have it. You lived frugally. You would buy things in 100 weights sacks, flour and sugar and salt in blocks, and salt in a box by the fire to keep it dry. Farmers were often very good gardeners and would have stacks of jars of jams and preserves going up the stairs and a ham up on a hook by the doorway. 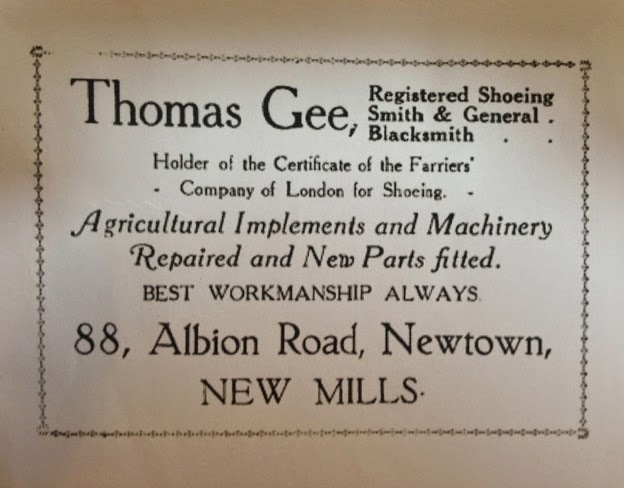 My Father between 1922 and 1939 the only thing he replaced was one cart and a Planet Junior Push Hoe. Used a float to take to market, for a Sunday day out had a trap, 5 bob a year for the licence. No electric, gas or anything, pressure lamps, outside toilet, no telephone, if you wanted a shower you went out in the rain. The tin bath, if you were lucky you’d be the first one it, pretty cold and filthy if you were the last one. You slept on straw mattresses, if you were cold would chuck an army coat over, use the side shelf from the oven to warm the bed. You knew it was cold when the chamber pot froze over. The fourth international Text Festival in Bury is well underway, pioneering a trail for people who use language to make art - be they artists, poets, performers, musicians. What can sometimes be overlooked, however, is the experimental approach that Festival Director Tony Trehy has also taken in working with communities, especially marginalised people. Rather than opt for superficial community engagement with its quick fix of good PR, the Festival builds on long involvement with arts organisations, nurturing more meaningful projects that are also deep-rooted in the avant-garde. One such practitioner is Ruth Jones, whose extraordinary dance work with older people is both challenging and uplifting. During our decade-long partnership with the Festival, arthur+martha have collaborated with hundreds of disenfranchised people in Bury and beyond - and shared their work. Homeless people, school pupils in danger of exclusion, pupils with literacy problems and older people with dementia have all been welcomed in the Festival exhibition programme. A smile four months crying postcard by anonymous homeless participant at Text Festival 3 in 2011. Postcards were fixed to vehicles to underscore their makers' transient lives. Here the 'tears' of the postcard are held in place by a windscreen wiper. In 2011, a hundred postcards made by homeless people were exhibited at the Festival exhibition a map of you. Curated by Phil Davenport, the show placed their work alongside international artists and poets to start a dialogue that is still ongoing. The postcards were also made as animations on the BBC Big Screens in Liverpool and Manchester to an estimated passerby audience of over 1 million, helping to combat hate crime against homeless people. One of the crucial elements of this project was that it was based on experimental approaches to poetry/art, connecting to the spirit of the Text Festival - and again liberating many participants who would normally struggle to write. Artist Rainer Ganahl and poets Steve Giasson, Scott Thurston and Geof Huth all helped, making work in response to encounters with homeless people. 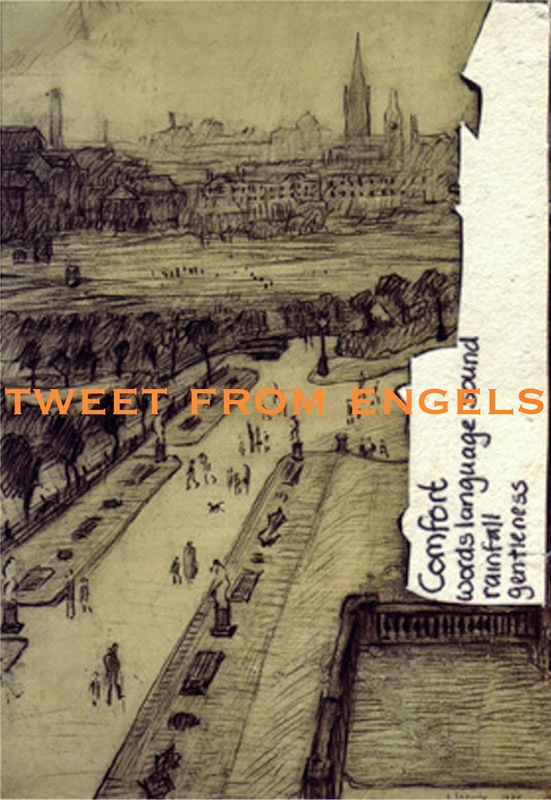 Front cover of TWEET FROM ENGELS, a poem made from tweets by local homeless people. Canadian poet Steve Giasson helped edit the book and designed it as part of a collaboration organised through the Text Festival. 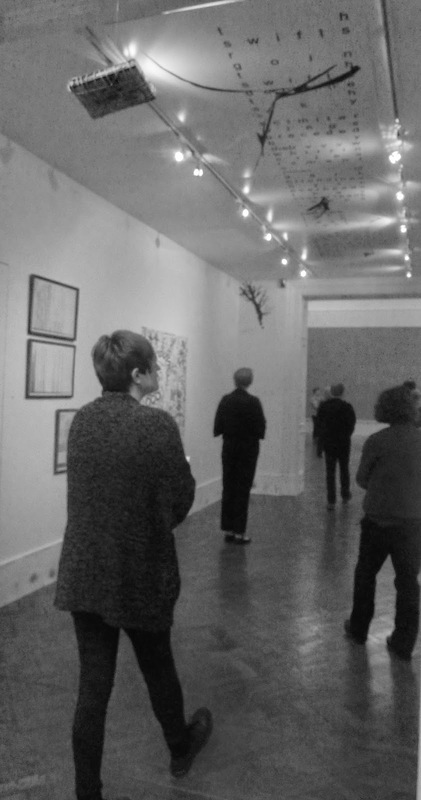 More recently, Bury Art Museum (home of the Text Festival) has helped support the continuing arthur+martha dementia art project Spaghetti Maze. 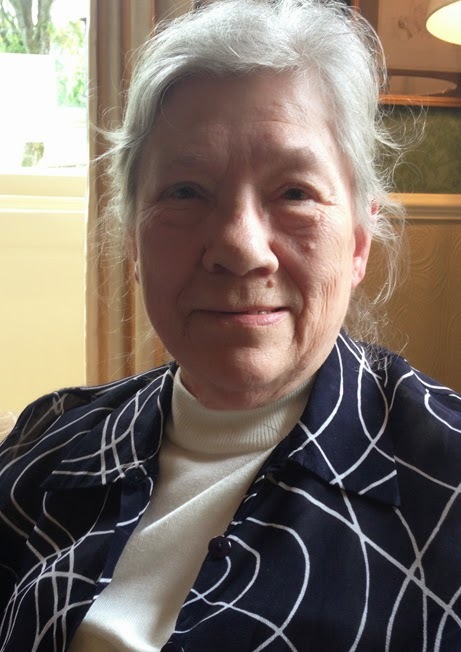 Again, work with this particular community has been inspired by the example of many experimenters, especially poet Lynn Hejinian. 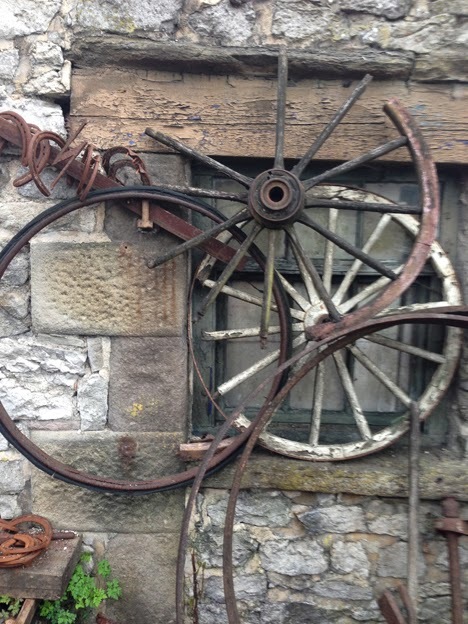 By allowing in more fluid approaches to what makes a poem, a narrative, or an artwork, we have worked with people with a dementia diagnosis trying to construct life stories in their own personal language, tracing the shapes of their logic and needs. Two of the pieces from these sessions in Pinfold Lane dementia care centre can be seen at the exhibition Phil has curated for current Text Festival exhibition The Dark Would Volume 3, while the exhibition space has been soundtracked by local schoolchildren attempting to make birdsong. A Winter Tree (series) by Ivy at Pinfold Lane dementia care centre, Bury. 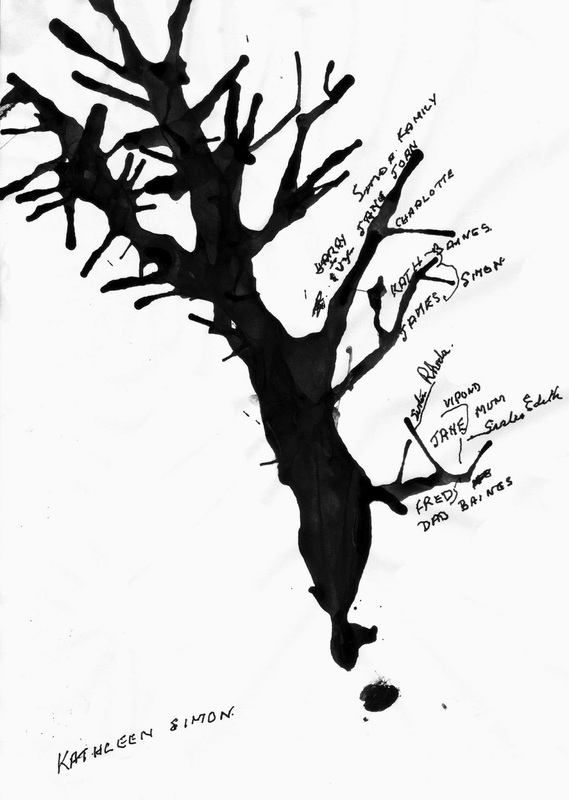 This free variant on a family tree is part of The Dark Would Volume 3 exhibition currently showing at Text Festival 4. Perhaps our connection with the Festival runs deeper than the usual sorts of Community Engagement that arts institutions encourage, because the Text Festival is itself a community of outsiders. Sometimes sharing and sometimes fighting, like any community, they're trying to re-make art - and therefore re-imagine what it is to be people - in the whirligig of the 21st century. Entering The Dark Would Volume 3, Kath's A Winter Tree is top left, rear wall. 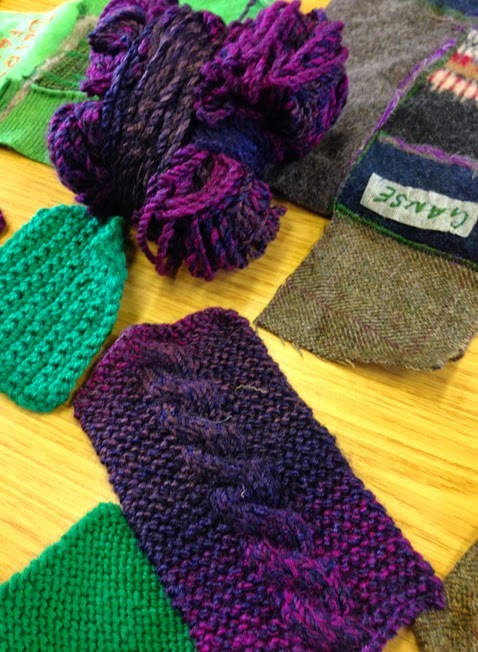 I was back with the Handicraft group today at the New Mills & District Volunteer Centre. Members of the group knitted rectangles evoking the local fields and heather to add to the wool quilt. When embroidered together with the felted jumper and tweeds, they add real depth of colour and texture. As part of Stitching the Wars, I am collecting reminiscence from older people living in Derbyshire, examining how the 2 World Wars effected the land and the people living on it. As ever with reminiscence, conversation takes its own route and some stories just need sharing. Doreen's are a case in point. 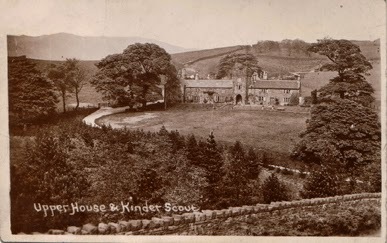 ‘The Sunshine Kiddies’ run by Dora and Mrs Wardle in Hayfield- I was in them. We used to do concerts in the Sunday School and at St Johns. Used to walk in the May Queens parade, then it was out to Little Hayfield, then to the Zion in Birch Vale, then back to the school field. Used to dance on the platform in the May Queen Field, aged about 14. We did tap dancing, ballet, little concerts and pantomimes, things like that. Once we gave a concert at the American Camp at Burton Wood, that’s the first time I tasted bubble gum! They all cheered when we finished our concert, and took us into the mess hall, spread out with food. What struck us being rationed, was the spread they put on for us. There was about 30 of us, all sorts on that table, ham, big cakes, we hadn’t had those for years. You couldn’t have a cake at home, what little margarine you had, you’d put on your bread. When we saw a joint of meat on the table it was just like Father Christmas had visited. My brother Harry was a messenger boy, had a bike. The headquarters of the Home Guard was in the George Hotel at the back. One officer had come to visit, they had one gun between them, they had what they had- they all lined up and he said ‘attention’ and he banged the gun on the floor and it went off, banged a great big hole in the roof! 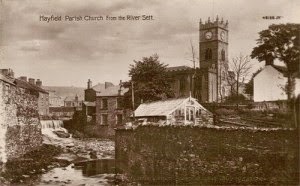 My brother told me, there was a mock battle, people from Chapel were supposed to raid the village, all the Home Guard were hid under the bridge in Hayfield, of course they found them and we were captured! There were bombs up Kinder Road, killed some people, a girl from school. We all took a bit of money to help. My mother was in the SJAB (Saint Johns, Army Ambulance) she ran up to see if she could help when that bomb went off. The air raid sirens, there was one of those windy up ones at the Police Station opposite Hallam’s, Constable Hill his name, we called him Bobby Hill. He caught me one swinging on a lamppost, clouted me! 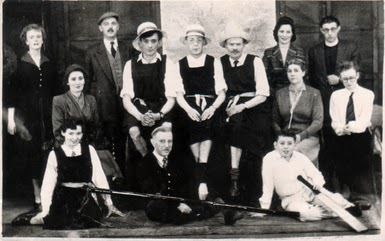 As a young women, Doreen joined the St Mathews Players, the photo above shows her (pictured to the far right, white blouse and glasses) during a performance of St Trinian's. The Dark Would Volume 3 language art exhibition curated by Philip Davenport from arthur+martha opens 3rd May at Bury Art Museum 10am-5pm. There will also be a discussion event and reading at 2pm at Bury Met, as part of the international Text Festival. 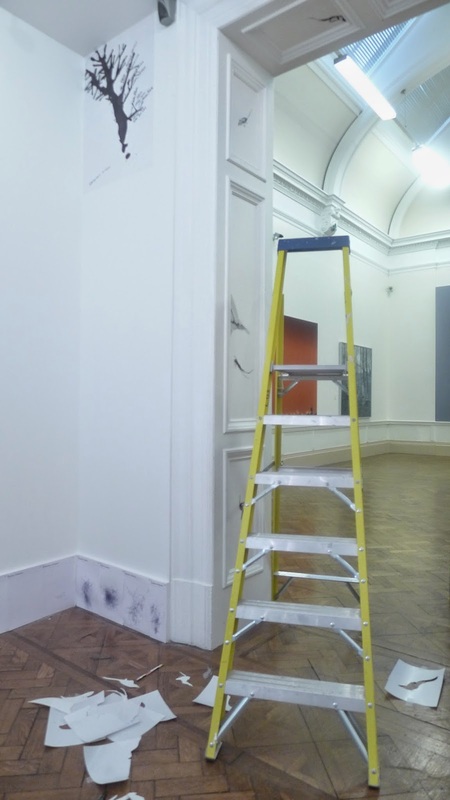 Currently being installed at Bury Art Museum is the third "volume", an exhibition that Philip has curated, based on The Dark Would. 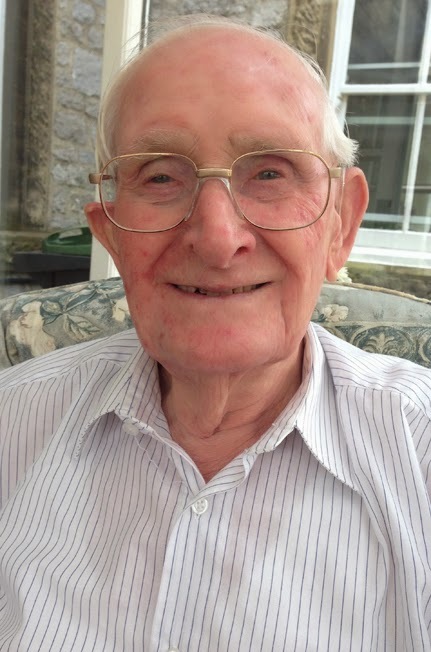 He also worked with local schoolchildren to make a soundtrack and has included a piece made during arthur+martha sessions with members of a dementia drop-in in Bury. The exhibition is themed around the translation of memory into language. In it, you'll find an evocation of childhood in Nazi Germany, visual poems made by fixing a biro to a computer mouse, a text adapted from the Financial Times to become birds, a film/song for the mythic killer Long Lankin, Rorschach butterflies to commemorate dead poets - and a text/art work based on family trees. This last piece was made during arthur+martha workshops at Pinfold Lane dementia care day centre in Bury, which were supported by Bury Art Museum. It is an ongoing strategy by arthur+martha to exhibit work made in our projects alongside major international practitioners. The exhibition previews Friday 2 May, 7pm as part of the launch of the Text Festival and new Sculpture Centre at Bury Art Museum. There will be a discussion about issues raised by The Dark Would on Saturday 3 May 2pm at Bury Met, chaired by Philip with a panel of derek beaulieu, Caroline Bergvall, Marton Koppany and Ron Silliman. The discussion will begin with a poetry reading from Ron Silliman. Exhibition contributors: arthur+martha, derek beaulieu, Maria Chevska, Paula Claire, Mike Chavez-Dawson, Matt Dalby, Maria Damon, Philip Davenport, SJ Fowler, anatol knotek, Darren Marsh, Tamarin Norwood, Wang Jun, Rosmarie Waldrop, Richard Wentworth and Eric Zboya. Canadian poet derek beaulieu making Helvetica, his letraset work for the exhibition.